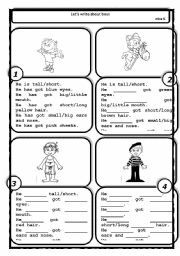 English worksheets by miss K.
English worksheets > contributions by miss K.
There is sun after the rain. 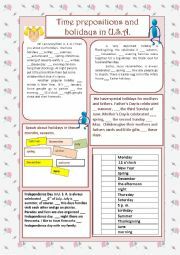 Students practice using seasons, months, days of the week, holidays with the correct prepositions. Contains 1 oral exercise. 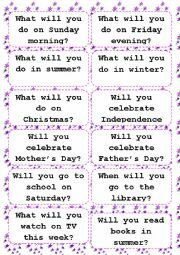 There is a matching game http://www.eslprintables.com/printable.asp?id=634879#thetop. Editable. Template thanks to devitsa. Do you what season is it in Australia? Or in which country Dutch live? Is Antarctica the only habitat for penguins? Is there such a thing as ice hotel? 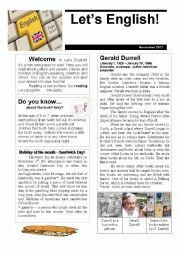 These questions are answered in this new issue of LET"S ENGLISH. It has a key for teachers and also a fun, simple, suitable for all ages game to practice questions. Sts, trace and fill the blanks and do a matching exe. The level of difficulty goes up ad they also have to circle is or are, have or has. 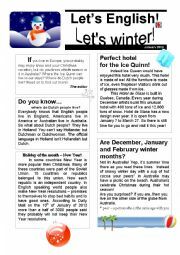 A new issue of Let´s English. 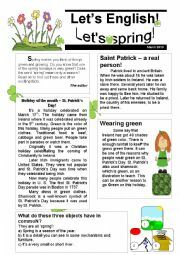 Learn about the greenest holiday of spring and why it´s green, how many meanings does the word "spring" have,possible 8th wonder of the world and do fun quizzes. For teachers there are a few links and ideas. 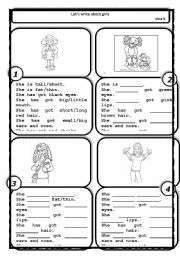 This ws helps students recognise verbs to be, to bring, to begin, to blow, to break in simple past. Sts read and translate the sentences and fill in blanks. 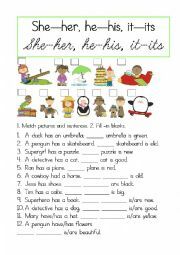 There are 2 more ws whcih help student use these verbs. 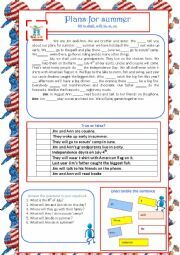 Simple and clear presentation which helps students learn how to form sentences, negatvies and questions. My CAN ws complete nicely this PPT. This is ppt containing 5 rhymed riddles. The picture is an answer to a riddle that appears after riddle is solved. Rhymes are fun and enjoyable(please do not upload them anywhere else as they are mine). You can try riddles as warm up or close up. This simple,easy to use and editable ppt helps your child to master numbers (children show the number they see on the screen with fingers),reading number words. There are extra tips/games for teachers to master writing these numbers.